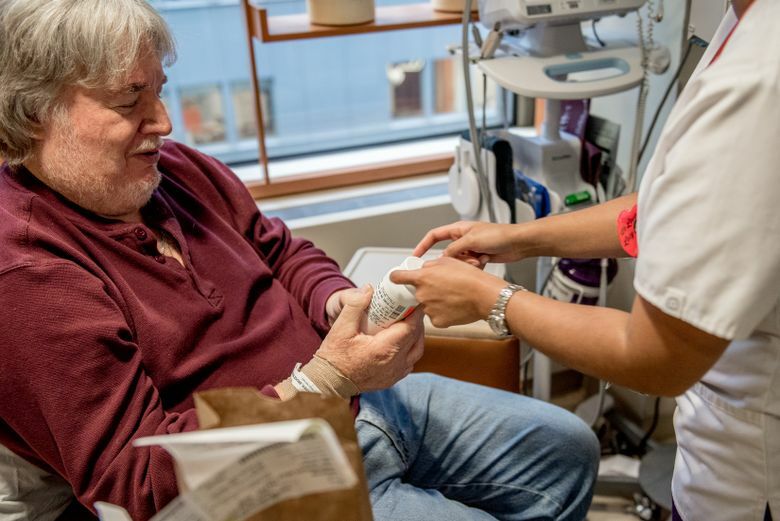 In July, an expert panel of the Food and Drug Administration approved a groundbreaking new leukemia treatment, a type of immunotherapy. Companies are scrambling to develop other drugs based on using the immune system itself to attack cancers. Many of these experimental candidates in trials are quite similar. Yet each drug company wants to have its own proprietary version, seeing a potential windfall if it receives FDA approval. Companies therefore must compete for the few patients with relapsed melanoma who are at centers offering clinical trials. Immunotherapy drugs that attack a protein known as PD-1 are approved for treatment of lung cancer, renal cell cancer, bladder cancer and Hodgkin’s disease, noted Dr. Richard Pazdur, director of the FDA’s Oncology Center of Excellence. So in new trials, additional anti-PD-1 drugs are being tested all over again against the same cancers. These are drugs that attack mutations that tumors need to grow and thrive — targeted therapies. The idea is that tumors can be reliant on certain gene mutations. Block those mutations and the tumors will die. It took Pfizer three years to locate 50 lung-cancer patients who carried a rare aberration called ROS1, found in just 1 percent of patients. Clinical trials with patient searches like these are “not for the faint of heart,” said Dr. Mace Rothenberg, a vice president at Pfizer. It helps that the FDA has not insisted on large trials with control groups in instances of targeted therapies with few who qualify. To test a drug that attacks a tumor with a mutation found in just 1 percent of cancer patients, researchers at Memorial Sloan Kettering fanned out to the nonacademic medical centers where the majority of patients are treated, offering to pay for most of the cost of genetic testing, seeking patients at practices in the Lehigh Valley of Pennsylvania; Hartford, Connecticut; and Miami. That is how Bruce Fenstermacher, 67, a retired long-distance truck driver who lives in Allentown, Pennsylvania, discovered he had the rare mutation that the drug’s manufacturer, Loxo Oncology, had been looking for. He had been receiving immunotherapy for his melanoma, but it had stopped working and his cancer was spreading again. Discovering that mutation was like hitting the jackpot for Fenstermacher, said Dr. Suresh Nair, an oncologist in private practice in Lehigh Valley. The experimental drug seems to be working for Fenstermacher. But since so few patients have tumors that might respond, oncologists wonder how they will find them.